Using the Klaas pallet forks, not only materials stored on pallets can be conveniently transported. Thanks to an integrated safety chain, other goods can also be securely tied down. The pallet forks are available in two designs: in the fixed version they are particularly easy to handle, whilst the adjustable pallet forks are ideally suitable for more voluminous loads thanks to the long prongs. 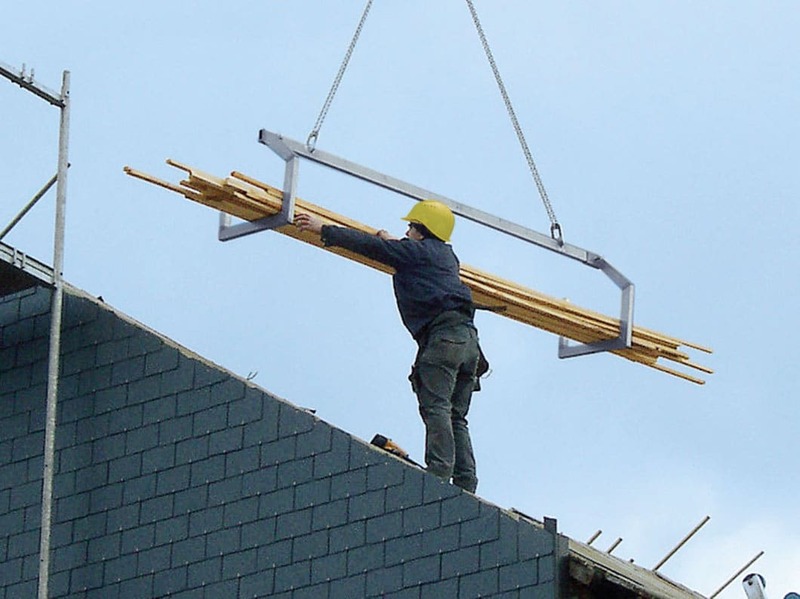 Up to nine solar modules can be lifted onto the roof at once with the Klaas solar forks. A protective rubber strip on the base and on the cell racks protects the elements from damage. If needed, the carrier can also be turned into a set of pallet forks.